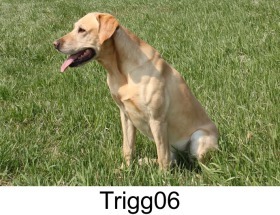 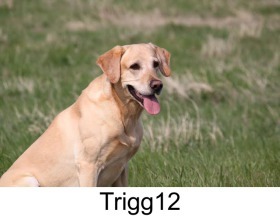 Trigg is a 75 lbs, very high drive male with a tremendous desire to retrieve. 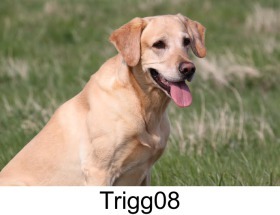 He has a strong will to please, very intelligent and great tenacity. 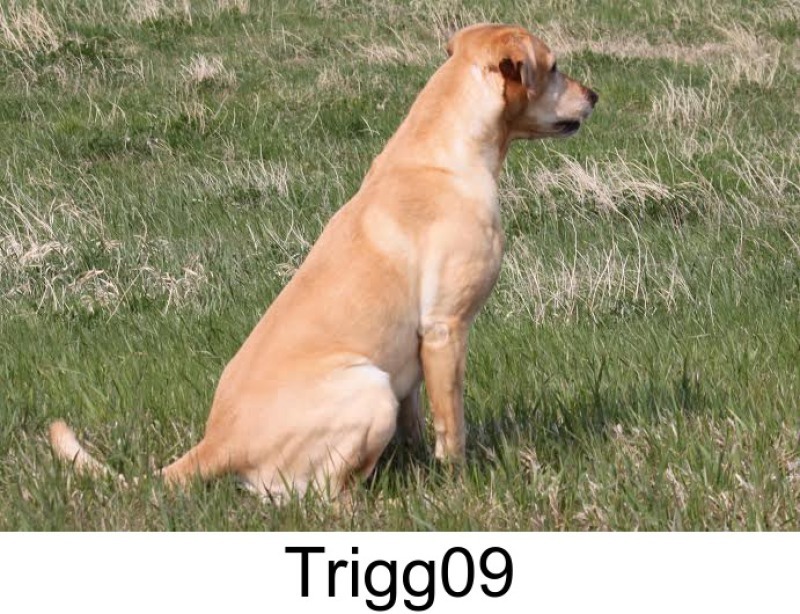 He is naturally muscular and has a very athletic build. 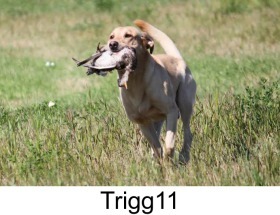 The first 2 years of his life he was only trained as a hunting dog. 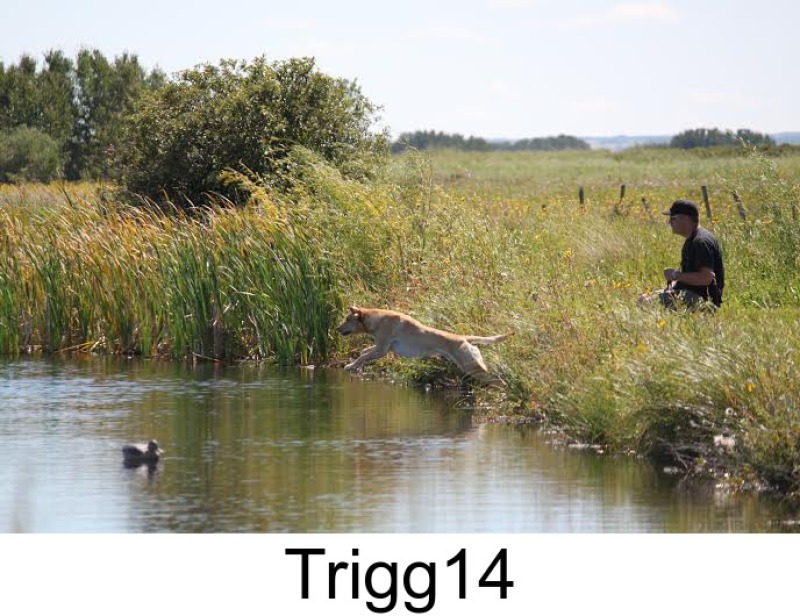 In early 2015, this was proceeded with more formal training and the introduction to hunt tests. His progression has been impressive and we marvel as we watch him play catchup. As a 2 year old, Trigg completed his Junior title with ease and one pass towards his Senior title. 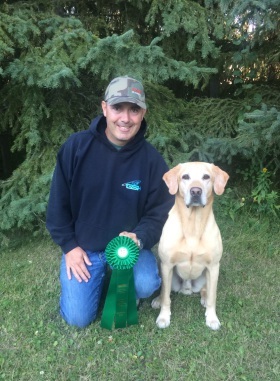 In the summer of 2016 he finished his WCI and Senior Hunter titles. 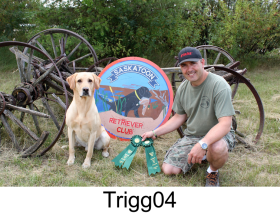 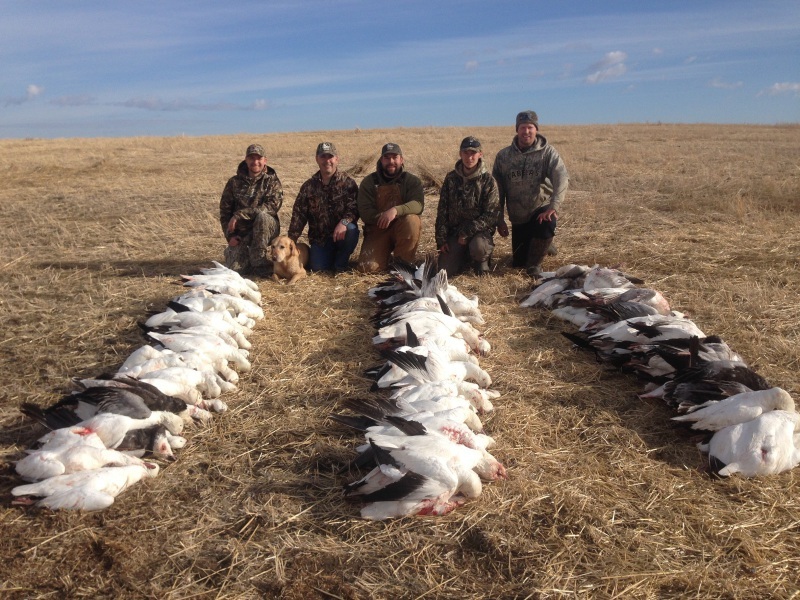 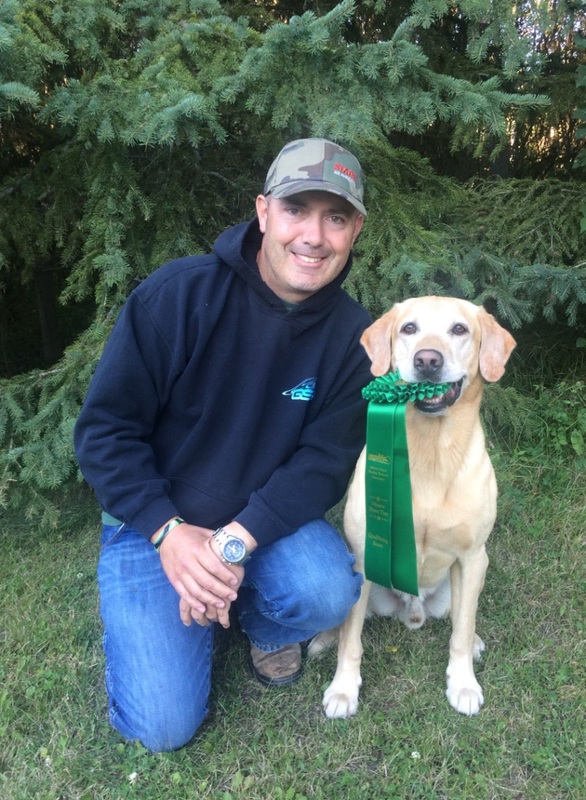 In the summer of 2017 Trigg completed his Working Certificate Excellent title and his Master Hunter title. He also has 1 pass toward his Grand Master Hunter title. 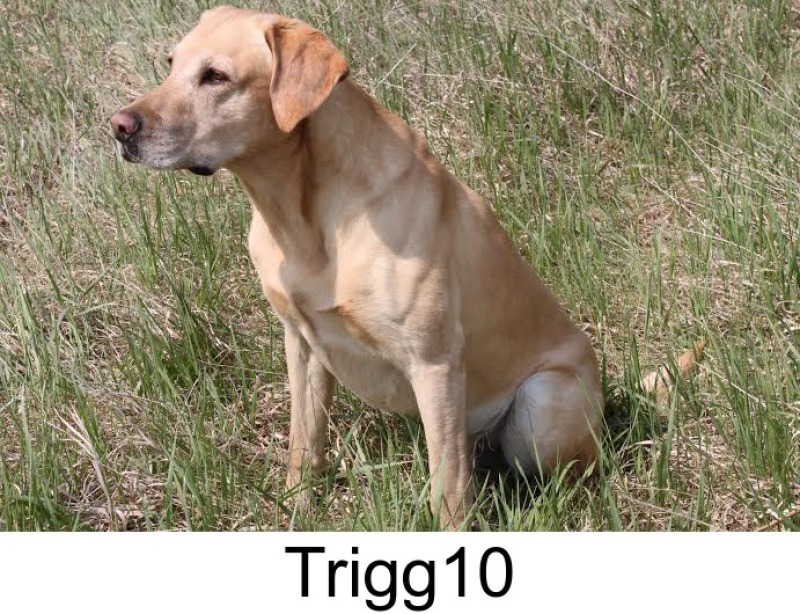 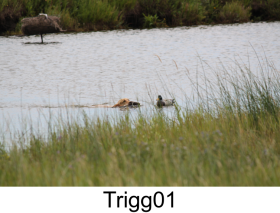 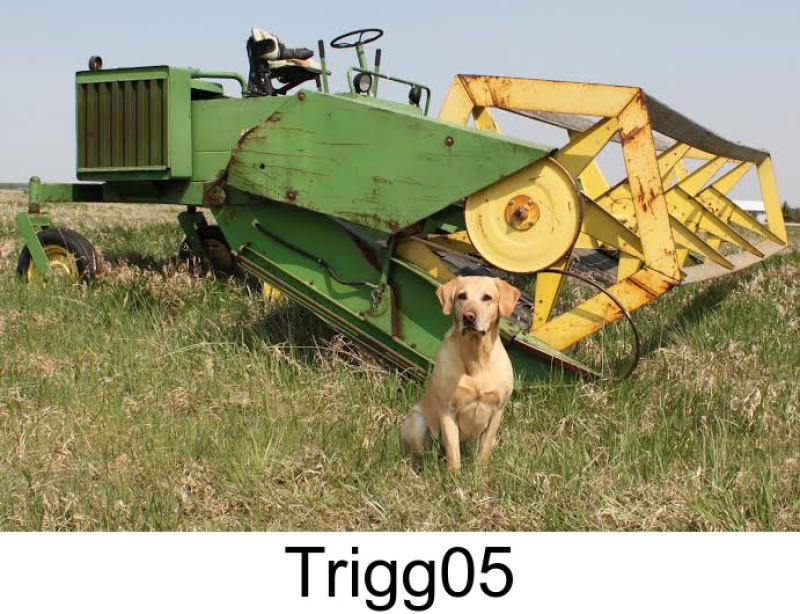 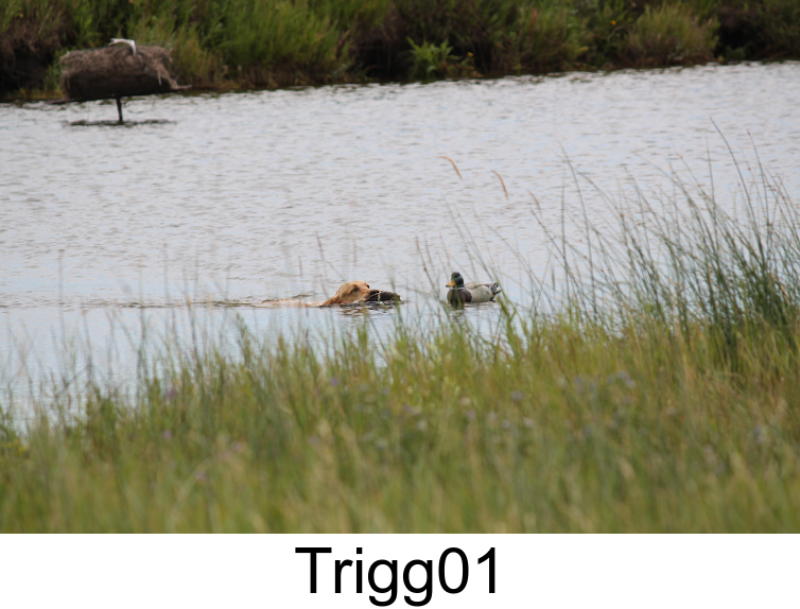 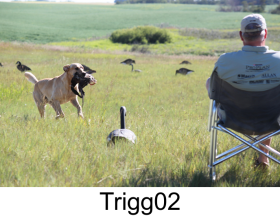 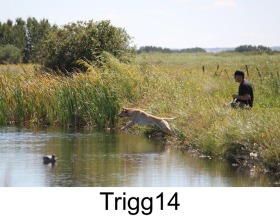 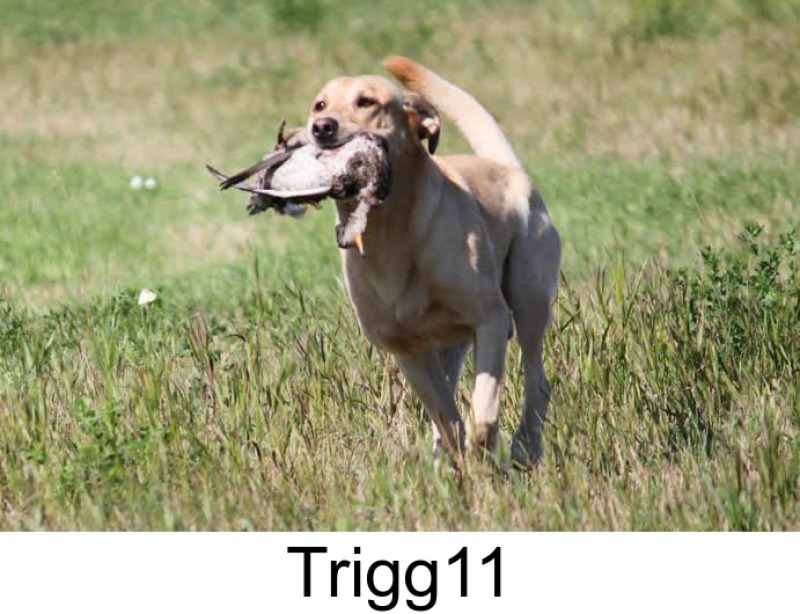 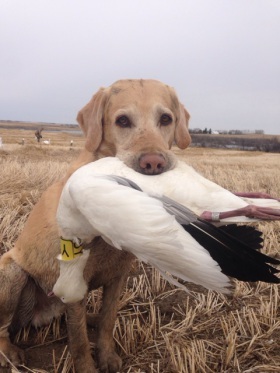 Trigg also has demonstrated superior waterfowl and upland hunting skills. He is fearless on Canada geese that perhaps are not ready to be carried back to the blind. 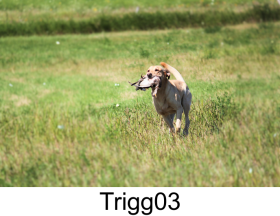 Even though he is very high drive he has always been naturally controllable. 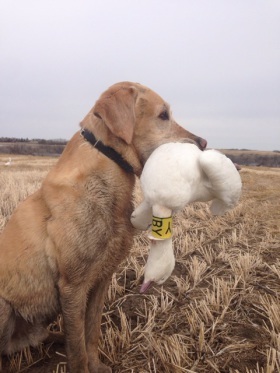 His upland career started as a 1 year old chasing wild pheasants in Montana. 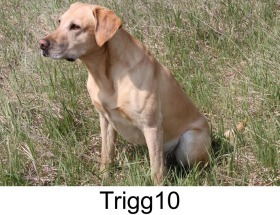 Trigg has numerous days hunting pheasants for 2-3 hunters and we always got our limits each day. 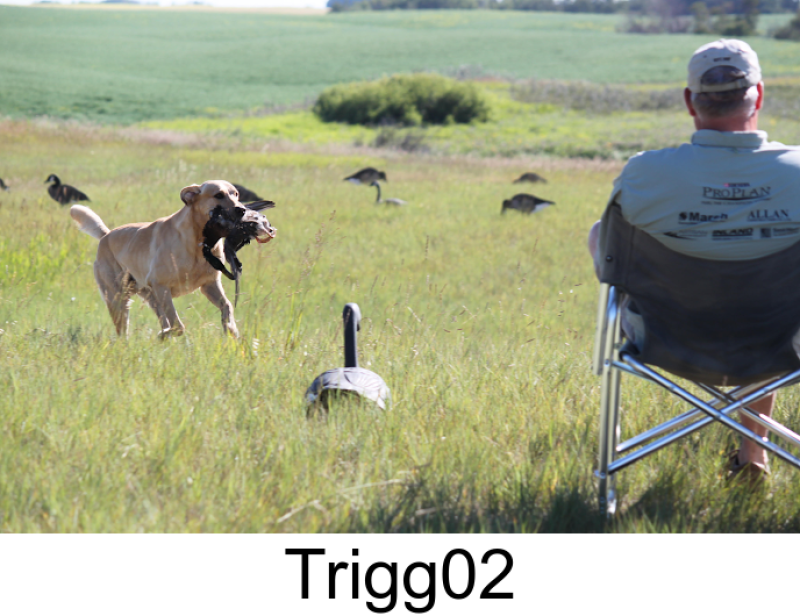 Not only does he hunt hard, he maintains control and methodically quarters the cover. On the home front Trigg is a model citizen in the house. 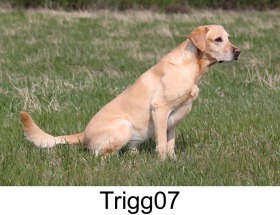 He has never been a barking nuisance and has never chewed anything except his dog bones and chew toys. 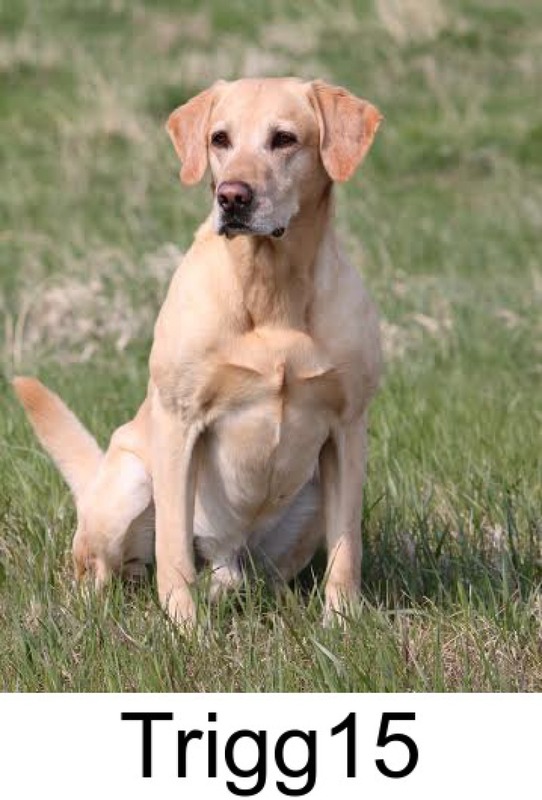 One particular skill has unfortunately generated the nickname "Houdini". He is not destructive at all but seems to figure out how to open doors and gates with the precision of a locksmith. 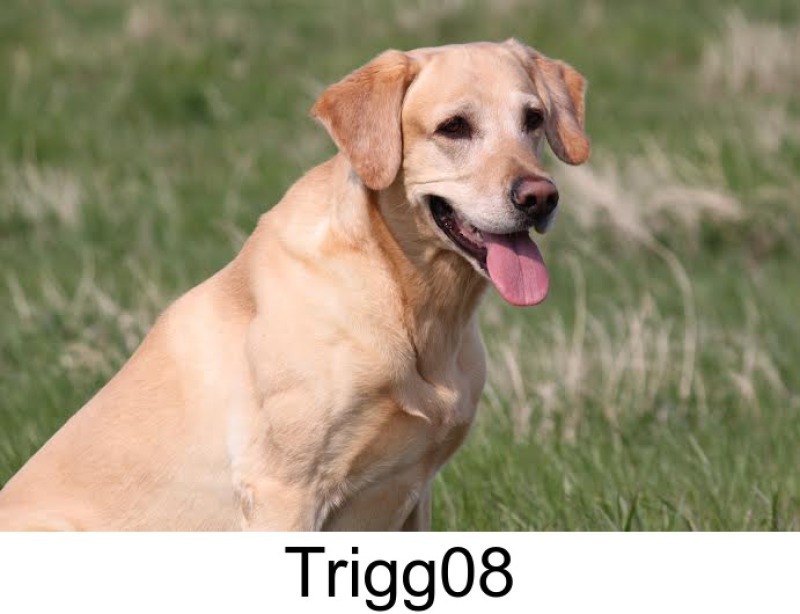 We look at that as a positive and admire his intelligence. Trigg's parents are also 2 impressive dogs with great drive and tenacity and both are a pleasure to hunt over. His mom, Ginger is a very attentive, athletic, and confident hunting dog that given the chance would have excelled at hunt tests. 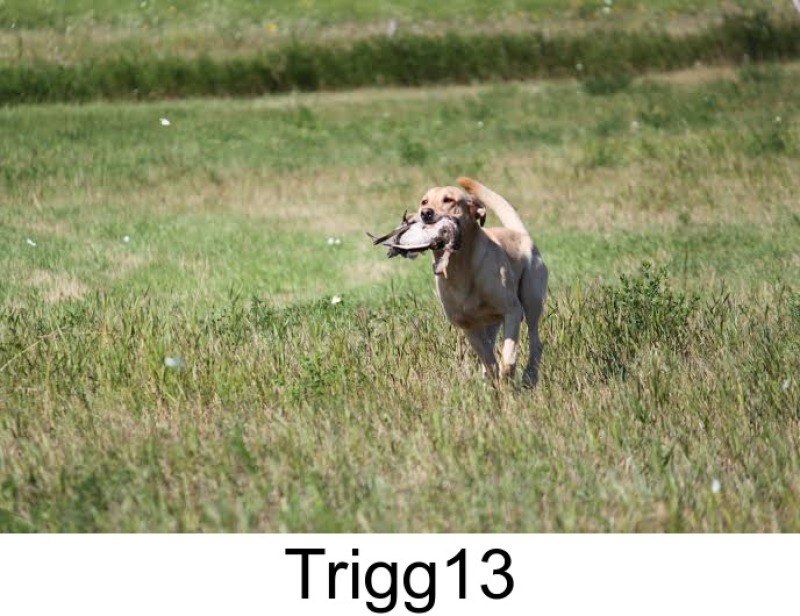 His dad, Oscar, comes from amazing field trial blood lines and even though he too doesn't live in a hunt test/trial home, he would have also excelled. Oscar is highly intelligent and a phenomenal all round hunting dog and works hard each season for his outfitter/guide owner.